After 10 hours of exhaustive research, we reached the conclusion that Mi Casa Verde VeraLite is the best z-wave controller that’s available on the market. It is pretty much affordable and has also simplified its system in the recent past. However, if you’re not specifically looking for a z-wave controller, just go for the Samsung SmartThings Hub. It has maintained its position as the most premium hub for a long time, and will most probably continue to do so in the near future. You can find a detailed comparison with Wink Hub 2 here. To help you make the best buying decision, we shall also provide you with details on what Z-wave technology is, what they are capable of, and also the features to look for when buying a controller. 0.1 What is Z-Wave technology? 5 What is a Z-Wave Controller capable of? Developed by Zensys in 2004, Z-Wave technology (Wikipedia) is a protocol widely used for home automation. This protocol is the language with which similarly interconnected devices exchange information and perform specified tasks. 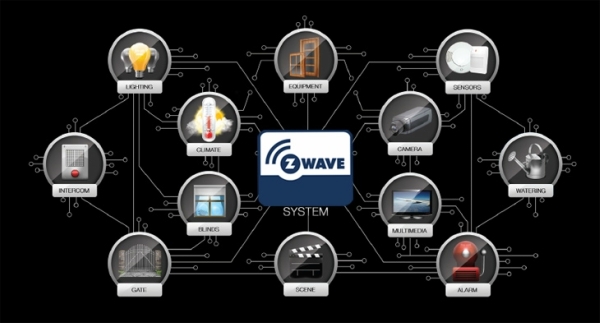 Z-Wave uses RF (Radio Frequency) technology to wirelessly signal and control devices connected to it. Z-Wave operates at different frequencies in different countries. It uses the Part 15 unlicensed industrial, scientific, and medical (ISM) band for its operation. In Europe, it operates at a frequency of 868.42 MHz. In the USA and Canada, it’s 908.42, and different frequencies in different countries depending on their regulations. So this was some very basic information on Z-Wave that you just received. We shall explore this breakthrough technology in lot more details going ahead in the article. For now, let’s take a closer look at how you can end up choosing only the most premium of the Z-wave controllers that are available in the market. We already gave you a quick overview of the best z-wave controller above, now it’s time we explore the ‘why’ and ‘how’! Each controller provides different options for home automation. Depending on the complexity and extent to which you plan to automate your home, basic home automation is achievable with usually every product available. But, if you require specific functions then you need to plan beforehand and buy one which offers exactly what you require. This is the primary detail which is essential before choosing a controller. Different devices use different protocols for their functioning. 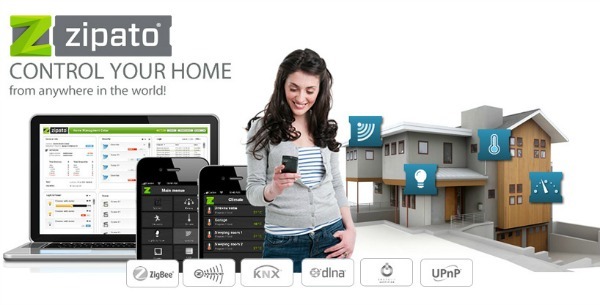 Checking out what are the protocols that your devices support helps in complete home automation. A central hub with access to all your smart devices simplifies the process big time. Deciding on the extent to which you plan to automate your house will help in deciding on the controller. Basic automation is achievable with almost all automation products available. If you have specific requirements like support for third-party devices and software platforms like IFTTT, then you will have to consider appropriate research. Check the same before deciding on a Z-Wave controller. Many Controllers communicate with the connected devices through a local network. Other devices communicate with the devices centrally through the cloud. Though each of these has its advantages, consider the regularity of power and internet connectivity for efficient control. Wireless control is highly dependent on the distance at which each of the devices is operating. For regular home-based automation, extensions are not required. But, as the distance increases so does its complexity and the need for devices to extend the reach. The cost of the product is also one of the necessary criteria for choosing a Z-Wave controller. Some controllers require you to just buy the product and you get lifetime access to it. But, many companies charge a monthly or yearly membership fee along with the cost of the product. You have to renew it periodically. Checking for this is a must before deciding on the best Z-Wave controller. In addition to the affordability, the Vera Control VeraLite has the ability to control and manage up to 70 devices. This product is one of the best Z-Wave controllers available. Partnered with many renowned companies like Honeywell, this device is definitely an impressive option for home automation. Plug and Play: The device plugs in directly to your home internet router and uses the Z-Wave protocol for its functioning. This makes the installation and set-up of VeraLite pretty simple. Multiple Device Control: The use of Z-Wave technology provides this product the ability to integrate with a wide array of devices. Support for third-party devices is also possible. Affordability: In terms of the cost price of the product, VeraLite provides the most value when you take into consideration all the quality factors available. MiOS App store: The company provides Android and iPhone based apps for easy access. Vera also administers a separate marketplace called the MiOS marketplace. This includes a wide array of apps for different devices and functions. Technical knowledge required. In spite of the simplification of processes in recent times, this product still requires a lot of technical know-how for operating it efficiently. There is still a considerable amount of security vulnerabilities. Providing the ability to control your home automation with a universal remote, this is one of the best available controllers using Z-Wave for home automation. It also has a home-based configurability setting. Seamless maintenance of your power usage is also possible. Plug and play capabilities are inherent because of the use of Z-wave. Has an impressive web interface which works well with any phone or computer. Great hardware performance by a reasonably priced device. The speed of the process is commendable and reliable in the long run. The installation procedure is tricky. People with less or no experience in home automation may find the initial set up to be a bit difficult. The Web-based interface provided, though impressive at first, has been left behind with no updates and no app availability. The control of your devices through the web interface is not possible if your computer does not run JAVA. 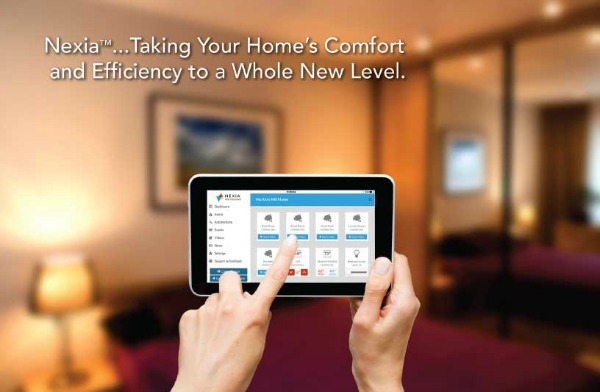 For anyone starting with home automation with no previous experience, Nexia Z-Wave Bridge is the best option available. The simplicity of the bridge along with the interconnect-ability of its devices make it a worthwhile option. Whether it is your lights, appliances or a complex security system this device gives you one-touch control with incredible ease. 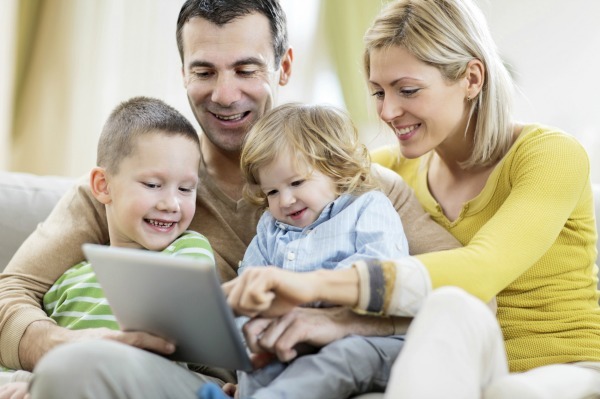 Nexia’s website boasts plenty of additional features with a cool interface. It also provides you with all the necessary options for automation you would need. The low cost of the device is definitely a plus. An automated relationship between your devices, rivaling the open source options available. An impressive range of 100 meters in all directions, giving you an overall radius of 8000 feet which is more than impressive. Incredibly easy maintenance. Once the device is setup, it doesn’t demand a lot of attention from the user. The bridge requires a monthly membership fee of 9.99$ to use its automation services. Many subscription free alternatives are available. No support for IFTTT and other third-party services. Unimpressive app design. Lacks control over the system, you cannot add or remove devices using the app. As an improvisation over the VeraLite, the VeraEdge provides all the functionality of the VeraLite. This device provides much more functionality required for automating on a deeper level. It is useful for homeowners who require the functionality with impressive precision and range. If you have no problem in shelling out a little more money, this is the best option available. Has better device capabilities facilitating the support of a wider range of devices. Ideal for homes with a large number of smart devices and requiring automation at a fundamental level. The automatic triggers available for automation are increased. Making devices react to natural triggers with more efficiency is a necessary requirement for a Z-Wave controller. The single app control of all its functions is impressive in contrary to the options available with apps with limited functionality. The online community is huge and responsive, providing easy fixes to each and every issue that might arise. Vera also provides easy portability options from the previous version for users looking for an upgrade. The most widely experienced issue with this particular device is the instability of Geofencing. The increased number of options naturally increases the complexity of usage of the device. Users with no experience might find it a bit overwhelming questioning the fact that it could be one of the best controllers available. The cost is also high compared to other devices. But the options available do justify the high cost. The ZIPABOX smart home controller is an innovative home automation option available, with a special focus on home security systems. It is a powerful gateway controller for Z-Wave devices. It is a powerful gateway controller for Z-Wave devices. Using cloud control technology, customization and control over a central gateway are made easy. Energy saving and timely notification of events transpiring make this a viable option for home automation. Impressive connectivity option available, just download the app for Android or Apple Store and you’re good to go. The app enables all the connectivity options, unlike many competitors. The customization of the device and its connected system to user specification is possible. 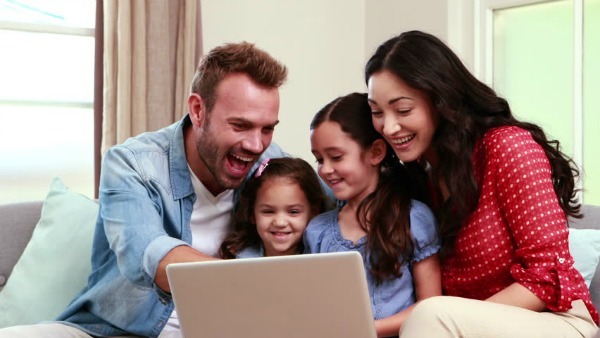 It also provides the stage for multiple users where the primary member can share selected functionality with family or guests. Impressive DIY options, eliminating the need for specialty technicians to automate your house. The controller lacks operability over certain widely used devices like Nest and Phillips. The initial cost of the device is quite high and the company seems to have ignored the aesthetical aspect of designing the box. No pre-designed rules, hence you will have to build the automation processes from scratch. When it comes to the best z-wave Hub, the Mi Casa Verde VeraLite takes away the trophy. The reason is pretty simple, this device provides an impressive array of automation processes possible with the least amount of complications. If you’re looking forward to getting your home automated, you need to consider the unparalleled affordability and the simplicity of this controller. The device succeeds in serving all your basic necessities of home automation. 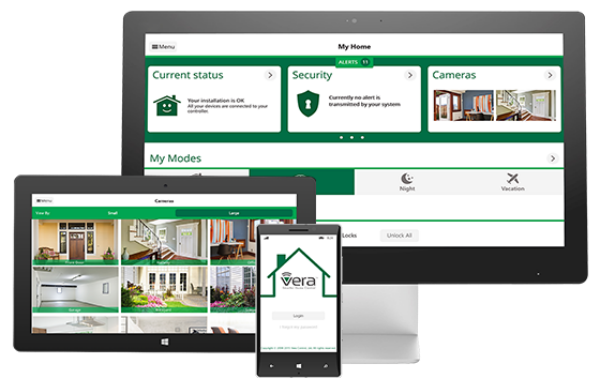 When the number of smart devices increases and the need for further automation arises, you can easily move on to the VeraEdge version. This provides all the functionality the other version lacks. The transfer of all the settings from its previous version can be easily achieved using the company’s pre-built process. Hence, this makes sense over a longer span of time as the best z-wave controller. 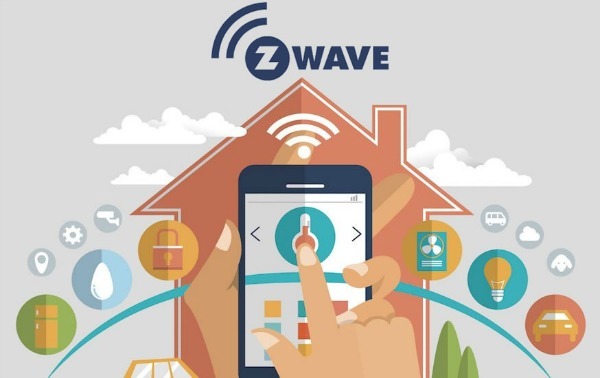 The conversation of the smart homes begins with the mention of Z-wave. It is one of the most widely used technology in the smart home automation market at present. Most of the devices that use Z-wave platform are the top choices among the customers. And rightly so since it is the magic of Z-wave that links the past and the future together. Devices you buy today can be used for ages and the past Z-wave devices are still very much useful with minor altercations. So it only becomes imperative to know a bit in detail about this remarkable technology. What are its application today and what does the future hold in its context? Read on to know all about it. Z-wave is basically a radio frequency (RF) control protocol. It has been around for quite a while. But its widespread use in the home automation market is only a couple of decades old. And it has progressed remarkably in such a small span of time. This platform is mainly used to achieve the uninterrupted communication between different products. After they communicate, they perform the assigned activities together in a more optimized manner. This helps in improving the overall lifestyle of the owner. The device may belong to different manufacturers. But, as long as they run on the Z-wave platform, they can communicate with utmost ease with each other. There is not much that is yet to be explored by the smart home automation domain. Almost all the aspects of your home have been covered by the range of products present in the market currently. There is a big reason why it has merged as the unofficial technology for all the major smart home appliances. All the famous smart devices from the past and the present belong to this technology. And the reason behind that it has the whopping 900MHz of Z-Wave power. The portability and universal reach of this technology further make it the perfect technology to be incorporated into the smart products of today and tomorrow. The remote access and ease of management will further make you want to be a part of this futuristic wave almost immediately. You can manage the Z-wave appliances via a keyfob, smartphone app, and even the physical touchscreen keypads. Your mode of input will not very much as the means of input varies. You can easily access them from your couch, your office and even the next continent! The versatility of this technology is something that you will really admire. Especially, after you see the variety of appliances where it has been incorporated. The smart appliance might be a necessity or accessory to your overall smart home. But you will find it perfectly suitable for the intended purpose with the help of highly efficient Z-wave platform. You have the breath-taking smart lighting arrangement all ready to be lit in the intensity you prefer. Your home can be protected and survived round the clock with the prowess of the smart security camera. The watering of the lawn can be done seamlessly in no time. Track your important items with smart tags. Or just unwind with the best surround sound and bass boot in the comfort of your home. All this and much more is made possible by the Z-wave technology every single day in countless homes. When you have two laptops being used side by side then the Wi-Fi speed seriously suffers. But it is exactly opposite with the Z-wave enabled appliances. You can place them near or far. When you network them together, they are only going to bring the best of performance to your home. Till now your room light has only been illuminating your room. 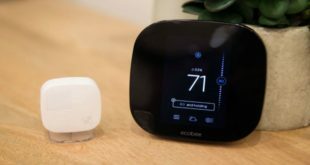 The smart bulbs when networked with your coffee maker and thermostat can do wonders. As the morning approaches, it can dim down and let you know its time to wake up. As you step into the living room, you are awakened by the smell of freshly brewed coffee. And it is suddenly a kind of nip in the air. All this to wake you up in the most gentle way possible. And these good mornings can be yours on a daily basis with the help of these amazing smart Z-wave devices. Till now, you might have to buy the same company products even if you are not a fan of all of them. If you want them to work together then you need to buy the same brand throughout. But not anymore! Now, you can pick only the items you like from a wide range of brands. Because you know that they are always going to work together in perfect synchronization. And this will be made possible by the miracle that is the Z- wave technology. So you can pick the hub from Samsung and the smart lights from Philips. They will work together perfectly. And you will also have room to add a lot more smart device to your smart home network. Any, the newly launched product you like, you can link it right away to the network. As long as it is a Z-wave product, it will be working just fine. What is a Z-Wave Controller capable of? The wireless capability of Z-Wave is the first one worth mentioning. It uses a low-frequency channel with a higher range of 100 meters. Compared to other wireless technologies such as Wi-Fi, Z- wave uses a lot less energy for its operation. The use of low-frequency channels enables the Z-wave controllers to operate without interference from other household devices. There is no loss of wireless signals over Z-Wave as its devices act as a part of a mesh network, which amplifies and repeats the Z-Wave signals. Z-Wave controllers provide an amazing DIY capability which enables the users to implement and understand their automated homes on a deeper level. Troubleshooting and calling for support becomes increasingly rare. Cross-compatibility of the devices paves the path for the use of an increased number of devices resulting in more automation options. This is what is important in a Z-Wave controller. If it is possible, we will even want our doorbells to have a remote access. And thanks to the Z-wave controller we finally have that power. You don’t have to shell out for getting a sophisticated doorbell or any other device where you want to enjoy this feature. The Z-wave controller gives you the ease to use this feature in a number of smart appliances that are connected to the main system. You can access and control them remotely at any given time. So now you can sit back and relax because most of your home can be controlled anytime with a single tap! This freedom to check the status of the various component of your home at any given time surely makes you breath easy. Also, it helps you focus more on the moment. Worrying about your home when you are away is a thing of past now. You can check back at your home whenever you want now. This feature becomes highly useful when you have to get restless about your home safety. You get to check the status of your home whenever you can. And you also get to activate the required appliances at just the right time. The constant SMS and email alerts help you to take prompt action in the nick of time. And the remote access facility makes it possible for you to make the most of every second. Z-wave controller adds this infinitely useful feature to all your smart home appliances. This way you can activate and monitor their functioning from miles away. And it gives you a sense of relief whenever you step out of your home. So get a Z-wave controller for your home today to get rid of all the worries when you are away! We all want to save the environment and save some money too with every single activity of ours. A smart investment in a suitable Z-wave controller will let you do so with the utmost ease. You just need to activate the energy efficiency feature. And from then onwards, all the smart appliances connected to the controller will behave in an energy efficient manner. Whether it is day or night, you will be cutting back on the cost and the energy consumption massively. This does not mean in any way that you have to compromise with your lifestyle. 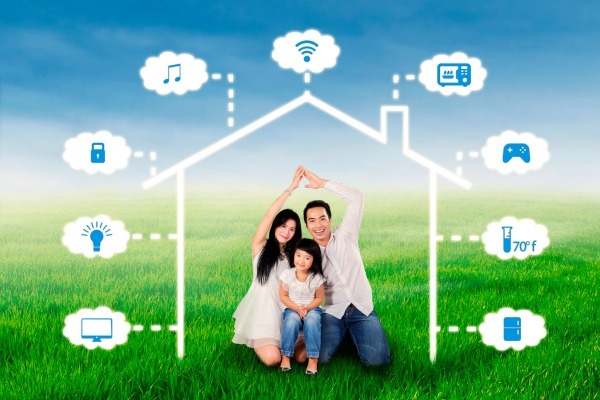 You will still be able to enjoy the same set of benefits for your smart home devices. Now, there will just be the energy saving algorithms playing in the background. And, your Z-wave controller will earn back its original cost in no time. Z-wave controller and its energy saving setting make good use of the available resources. You get the best performance at half the price and energy expenditure. This way you are not only saving the environment but also making considerable cuts from your energy bill throughout the year. Today, it becomes quite difficult to manage the functioning of different kinds of electrical appliances round the clock. You need a centralized controller to regulate their functioning and the energy levels that they work at. You will soon discover that most of the times the energy being consumed is just wasted in the form of energy leak. This makes it a total wastage of precious energy resources. And you would not like to incur this kind of energy expenses to your monthly bills. The best way to solve this trouble once and for all is by getting the Z-wave controller that makes everything extremely simple for you. We all would like to shoot commands at our appliances to get things done without lifting a finger. Finally, this dream has been realized with the help of devices such as Amazon Alexa and Echo. Most of the Z-wave products today are compatible with both Alexa and Echo. This means that you can finally get everything done within your home with a single command. Your voice can direct the smart appliance of your choice to the required task in the correct order. The sophistication of the Z-wave controller makes it perfectly compatible with the Alexa and Echo. The task of controlling various aspects of your home via the Z-wave controller can be easily done through your voice commands. The voice control capability is surely one of the most helpful features of these controllers to date. Today, you will find this service in almost all types of Z-wave controller available in the market. Voice control is a recently introduced feature. But it has gained tremendous popularity in such a short time frame. Today, almost all the major appliances will come with this added feature. And if not then you can just connect them with your voice control enabled Z-wave controller. When networked together, you can direct a series of appliances to work together in an orderly fashion. This will help you complete the same time with way fewer efforts and time. This hands-free approach is perfect when you are busy with some important work. There are a lot of benefits to owning a voice-controlled Z-wave controller. And the best part is that you don’t even need to spend a crazy amount of money to get the best one in the market at present. There are a lot of times when you don’t have enough time during the day to program each and every appliance in your smart home. The best way to deal with this trouble to just schedule them all on the weekend. Or whenever you get enough time to program them in a sorted manner. This way you will be able to just switch between the various scenes when you are in a hurry. You can create the variety of scenarios that you would want to pick from on any given day. And when the time arrives, just activate the desired sequence with a single tap. You will find this feature in almost all popular Z-wave controllers at present. This becomes very useful even when you use it for a single appliance. So just imagine the kind of time and effort you can save when you use it for the central controller. It is not often that you are able to explore all the facets of your new device. The scene planning sequence gives you enough time to explore the best and even better during your leisure time. During different hours of the day, you would want the home appliances to work in a different manner. During the mornings, you would like the lights to be dim or even off since you don’t need them. The coffee should be brewed just in time. The sprinklers should be on. Depending on your lifestyle, the specifications of your scenes might vary. The most common types of scenes are based on the different times of the day. There is a ‘morning scene’, ‘evening scene’ and so on. You can also make the ‘Vacation scene’ and ‘At Home scene’. One of the key functionalities of a smart controller is that it should be able to connect seamlessly with different kinds of smart appliances. The Z-wave controller surely wins big in this section. 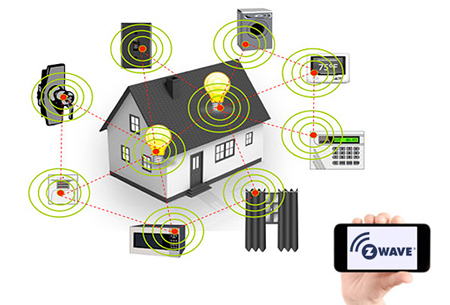 Its known to be one of the most widely used smart home networks. And you can connect any two Z-wave products together. They will always be compatible irrespective of the parent brand. 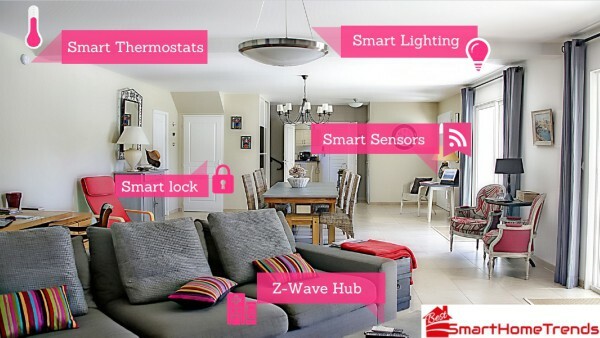 So, a Z-wave controller is something that you can easily rely on when you are planning to extend your smart home network. You can connect the devices of past, present and near future with absolutely no glitch along with it. You will get total compatibility every single time. These controllers have been designed to bring together different kinds of smart appliances together. This way, you have to focus on just the main controller most of the time. You don’t have to worry about every single appliance connected to your smart home network. This is because you know that any important update will be delivered to you almost instantly. The ease of compatibility makes the communication quite easy for all the parties involved. You can direct the controller to control and manage the various connected devices in the required manner. If there is any trouble, you get instant notification and that problem gets solved shortly. There is almost nothing that you need to worry about when we are talking about the compatibility of a Z-wave controller with the major Z-wave smart products. You will never face any problem setting the scenes, turning them on or off with your futuristic Z-wave controller. 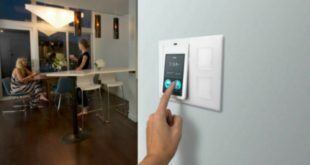 You just focus on getting the best smart home addition to your home! In present times, you have access to unlimited information all the time. The important data feeds, and notifications you would want to store in a secure and easily accessible place. And that is exactly what you get with the Z-wave smart controllers. Most of the companies have now made this service totally free of cost. It was in the past that you had to pay the additional charge on a monthly basis for availing the unlimited cloud space. But since then, things have taken a turn for the better. Now you can and should store all the important data in your home cloud that is brought to you by the manufacturers of your Z-wave controller. Secure it with a password. And then you can breathe easy while browsing the latest stored data. You can access the data stored here from a variety of channels. View it on your smartphone on the go. Get an HD view of your account and every single detail on the provided control panel. You can also go online from any smart gadget and see the progress online. With some controllers, you also get regular suggestions about how you can maximize the potential of your devices. They first analyze the stored data. And them come up with the best possible suggestions to improve your lifestyle on your terms. If you don’t like this analysis then you can also turn off the feature and enjoy zero interference from the other side. Everything in your cloud storage space takes place according to your specifications. On this note, we have reached the end of this article. If you think you had a great read, do let your friends know by sharing on your social platforms! Also, let us know your thoughts in the comments below. Is there any other Z-Wave Controller that you think we missed? Or do you think there’s any other aspect of the Z-Wave technology that we missed to cover in this mega guide? 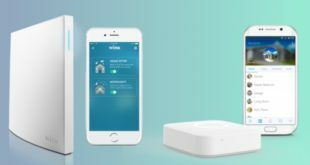 Samsung SmartThings vs Wink Hub 2: Which is better for your home?